Over 20,000 players participated in last week's Choose Your Name vote. And although there were many who championed "Spine of the Father, "Rancor, "Malevolence," and "Sankekur's Sorrow" admirably as the rightful moniker for our Mephisto-themed sword, their rallies were not enough to sway the majority and unseat the early frontrunner of this particular poll. Our Legendary has at last been christened. Taking an overwhemling 36% of the global vote, meet Shard of Hate. While the voting aspect of the Design a Legendary project has ended, we'll still be sharing updates on the item's progress as well as showcasing some behind-the-scenes shots of the item's visual design process over the next few weeks. 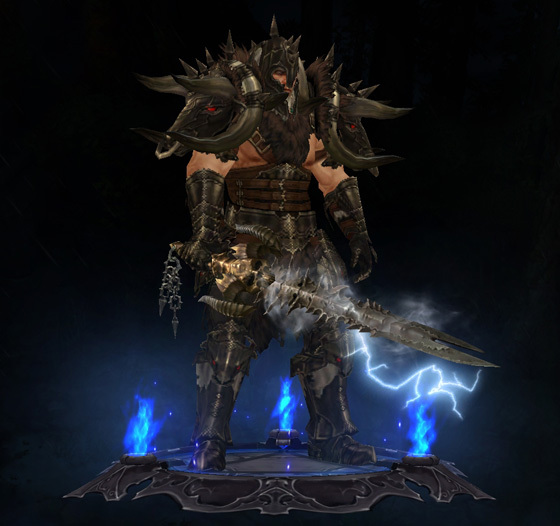 Stay tuned to diablo3.com for those insights, and definitely keep an eye out for this special Legendary hitting test servers soon™!